Air India today commenced the first ever flight between Ahmedabad to Newark via London. 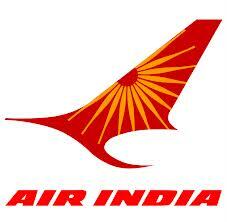 The Flight AI 171 took off from Sardar Vallabhbhai Patel International Airport at 05:00 hrs. The flight is receiving immense response from the passengers and not only the inaugural flight but all bookings till September,16 are sold out. AI-171 will operate three days a week on Monday, Wednesday and Friday from Sardar Vallabhbhai Patel International Airport. It will take off from Ahmedabad at 05:00 hrs and reach London at 10:15 hrs, depart from London at 12:30 hrs and arrive at Newark at 15:00 hrs. The return flight AI172 will leave Newark at 22:30 hrs and reach London at 10:15 hrs next day, leave London at 12:30 hrs and land at Ahmedabad at 02:00 hrs.